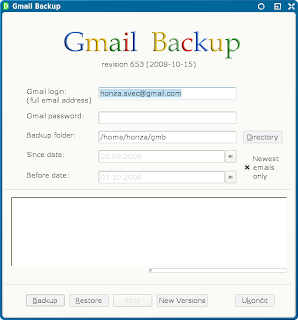 Gmail Backup 0.104 - Fast, easy way to backup your Gmail accounts ~ Android Forever! If you have a brain, you'll be asking me why you need to backup your Gmail accounts. After all, you can totally trust Google with your life, right? I mean, they would never, ever screw up so badly as to decimate your precious Gmail. On the other hand, why leave the safety of your important email in the hands of the monolith? Take charge and make regular backups with Gmail Backup.